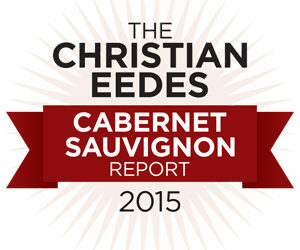 The fourth annual Christian Eedes Cabernet Sauvignon Report is now out. This involved putting together a line-up of 60 of South Africa’s most high-profile examples, either currently available or soon to be released, and then subjecting them to a blind tasting. To view a photo album of the awards function, CLICK HERE. To buy a 6-bottle mixed cases featuring Le Riche 2012, Laibach The Widow’s Block 2012 and Warwick Blue Lady 2012, CLICK HERE. There were many strange scores though. What happened with the Kanonkop, which this blog usually enjoys? There’s also pretty large variance within producers (uncorrelated with price), e.g., Le Riche 92 vs Le Riche Reserve 84, and Stark-Conde 90 vs Stark Conde Three Pines 80. Christian, if you did the tasting twice, on two different days, with a random ordering and blind both days, how much change do you think there would be in the scores you give? Re the Kanonkop, RP scored it 85, JP scored it 85 and I scored it 87 and we all had issue with its “green” character – is leaf-roll an issue here? Re the Le Riche Reserve, RP and I both scored it 87 while JP scored it 82 and here the wine felt a bit underdone (despite an abv of 14.8%) – Le Riche are undoubtedly one of our top Cab producers but I have a sense they are undergoing a period of re-inventing themselves and are struggling with stylistic issues. Re the Stark-Conde Three Pines, RP scored it 81, JP 76 and I scored it 82 – the feeling was this wine was attenuated and hard on the finish (it might well be just a young wine going through an awkward phase). As for different results on a different day, I’m sure this would be the case to some extent – wine judging is not a perfect science but I don’t buy the idea that it’s all totally random – the Cab Report has many of the same producers coming out tops over its four years of existence. Thank you for the kind comment. Regarding the Reserve points, I am not too worried about it. We have been tasting the Cab and Reserve side by side this last week and I am still convinced it is the better wine. However, it needs a good decanting for a couple of hours. Also, our 2011 also struggled a bit at the Cab report last year, but opened mid July and scored a Platter 5 star. Christian, thank you for another good report and the work you are doing for SA Cabs! Thanks for the replies, Christian and Christo. Glad to see La Bri up there. The vintage before the 12 was just as good and also scored top 10, even top 2, if I am not mistaken. Only negative is the price hike which sort of doubled. We had a Cab evening for some of the trade in the Southern Cape, trying to pick up differences in teroir, and I discoverder that on average the Platters ratings for Franschhoek Cabs, seems to do even better than Stellenbosch. Must admit that I did not do an in depth evaluation. It made me have a different perspective on Franshhoek Cabs. Just some useless information on cabs, I treasure the Conradie(Nuy Valley) Cab as one of the better cabs outside St’bosch. When will the 2016 results be available please. I am updating the SA Wine Industry Directory and we are almost going to print with ou 2016/17 edition. Hi Lindi, Results out on Thursday, 19 May.